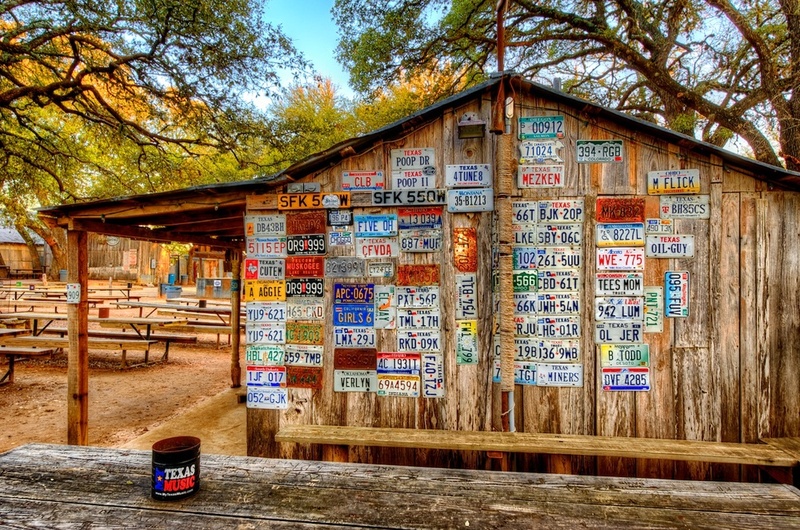 The best places to take photos in the Texas Hill Country! The best places to photograph bluebonnets and wildflowers in the Texas hill country! 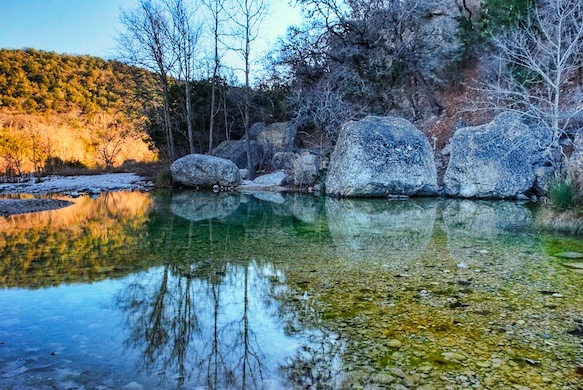 Are you looking for the best places to take photos in the Texas Hill Country? 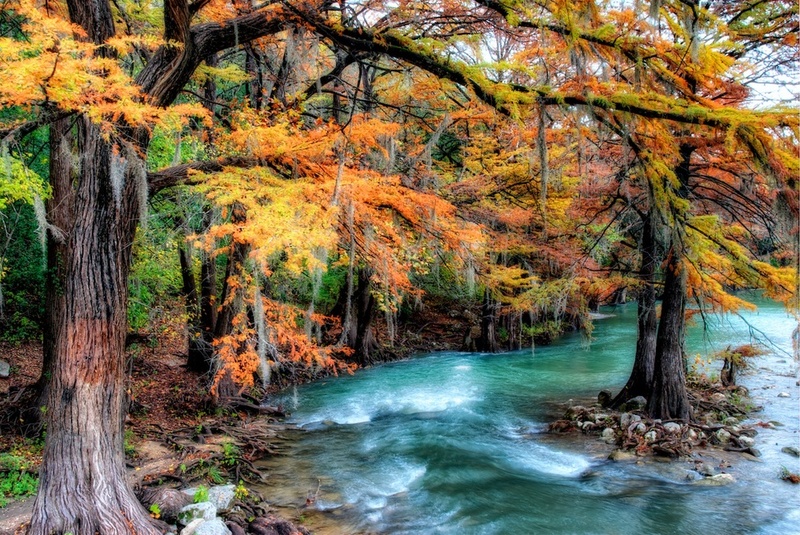 Are you planning a trip to the Texas Hill Country and are you looking for some places to get great photos? 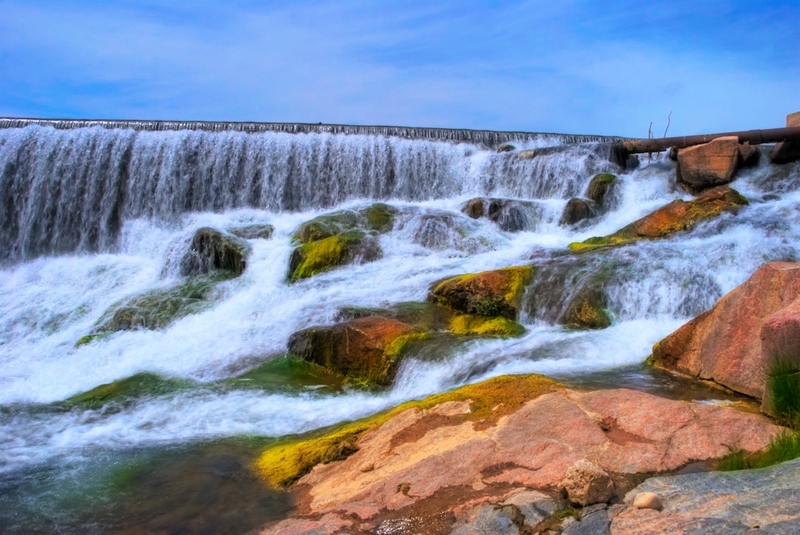 Do you enjoy wildflowers, open landscapes, rolling hills, rivers and waterfalls, and a 425 foot tall pink granite rock? Well, the Texas Hill Country is the place! Read on! Since I live in Austin, I have been exploring this area with my camera for a while and decided I should share a list of my favorite places to shoot. These are not really in any particular order, mostly because it is really hard for me to pick my favorites! I love the whole area, and I’m not just saying that. Really. So, without further delay, here it goes….. 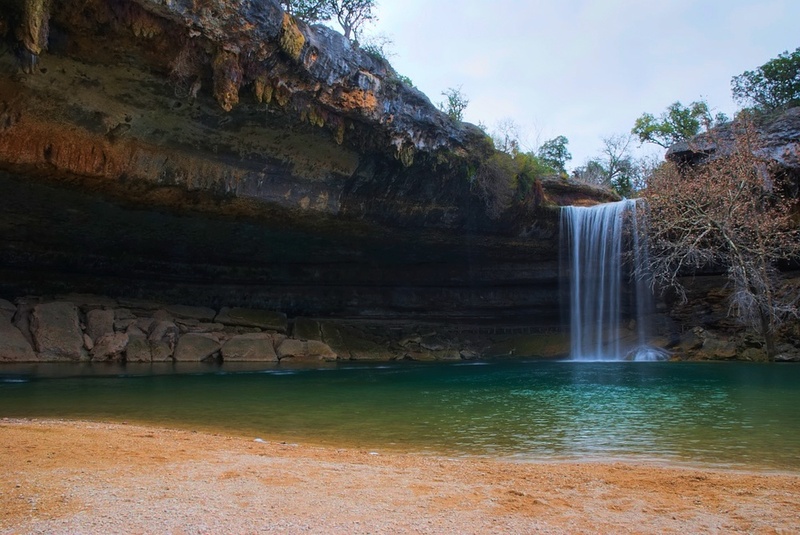 This incredible waterfall/grotto is just outside of Austin, and you don’t want to miss it (just call ahead and make sure it’s open – they close at times due to water quality issues). It was created when the dome of an underground river collapsed thousands of years ago. The waterfall is about 50 feet high and it’s an incredible sight. 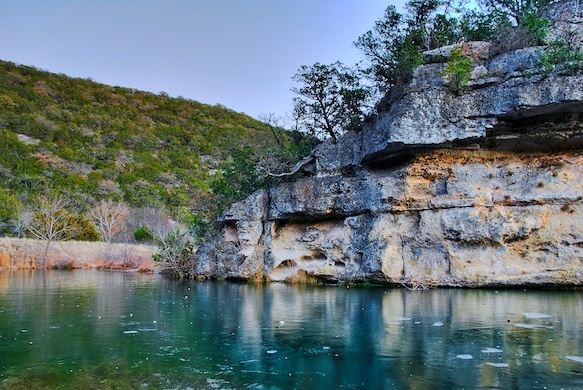 It’s about 30 minutes west of Austin and a great start to a Hill Country ramble! This is a really fun place to explore with a camera, but be sure and wear good shoes! When I visited I did a lot of hiking and climbing on/over large granite boulders, which seem to be everywhere. There are some great waterfalls to shoot as well as some wide open landscape/riverscape type shots. It’s a beautiful area, and is not too far off of Hwy 290 while heading West towards Johnson City. There are so many things that I like about Fredericksburg. It’s really a town that I just get into. Partly that’s due to the German heritage, which I just love, but also the town has a great “feel”. I’m not sure how else to describe it. Anyways, be sure and visit this beautiful church, and if you arrive on a weekday you can possibly find it empty, which is how I prefer to visit churches. The church is easy to find, just Google this one. The exterior is nice, but by looking at it you would never guess how beautiful the inside is! 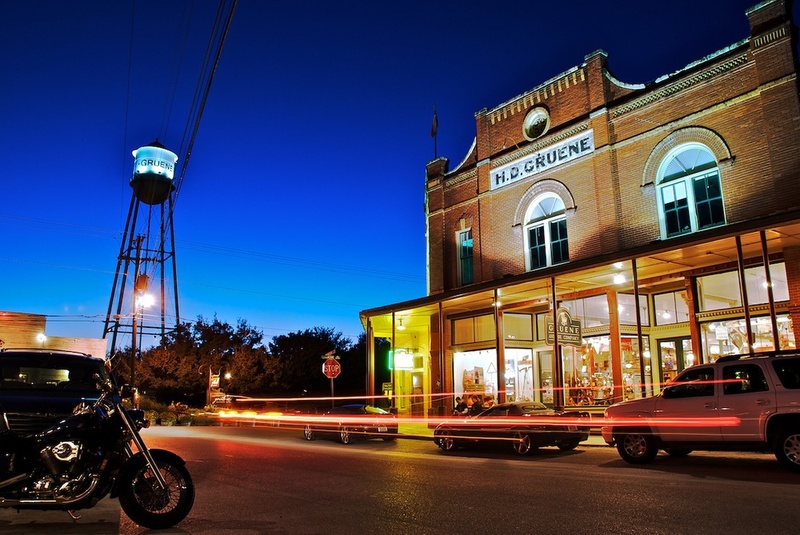 There is also a lot of nice historic architecture in Fredericksburg, and even taking street scenes can be real nice! Most people have heard of Enchanted Rock already, but if not then be sure and read up on it and plan a visit. It’s less than 30 minutes outside of Fredericksburg, and it’s a 425 foot tall pink granite dome that rises out of the terrain. Most parts of it are not too steep, so you can literally walk right up it, but it’s not a leisurely walk. It’s pretty good exercise. Pack some water – it gets hot out there! And bring that camera - you can see for miles from the top! This place is fairly well known among locals, but “outsiders” aren’t usually familiar with the name. It took me a while to discover it. FYI that this is about 12 miles NE of Fredericksburg. Essentially, it’s 13 miles of winding country road. Best bet is to visit this place during the wildflower season (mid-late Spring) but note that it will likely be pretty busy. However, it’s well worth it – gorgeous scenery and you can grab some fabulous wildflower shots. This is another spot to visit during wildflower season. This abandoned old house sits just outside of Marble Falls and when the bluebonnets are blooming you get this wonderful contrast of old decay surrounded by newly spring-up flowers. It’s beautiful. It’s right off 281 North after you pass through town. 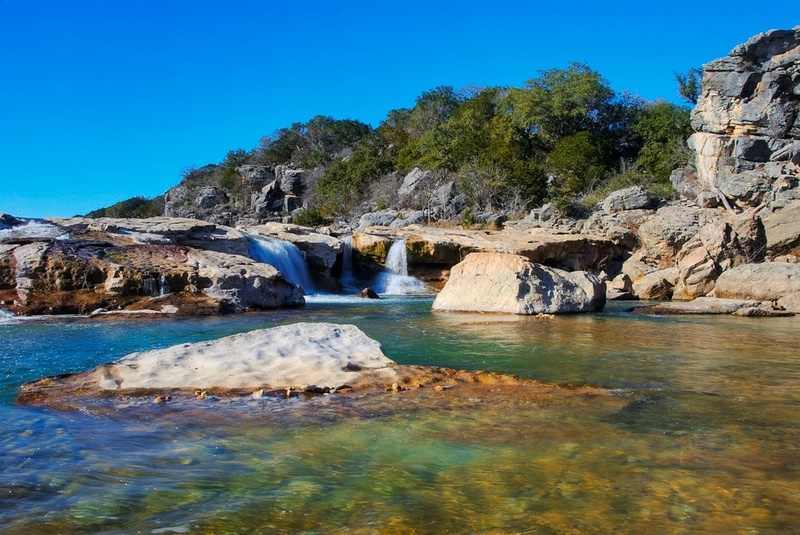 This place is a bit further afield (Vanderpool, TX - better get a map! ), but when you walk through the canyons and climb up to the top of the bluff to get a commanding view of the surrounding area, it’s well worth it! I was there one Fall and with the water and the nice cooler weather it was very enjoyable! This one is definitely in the “oddity” category. 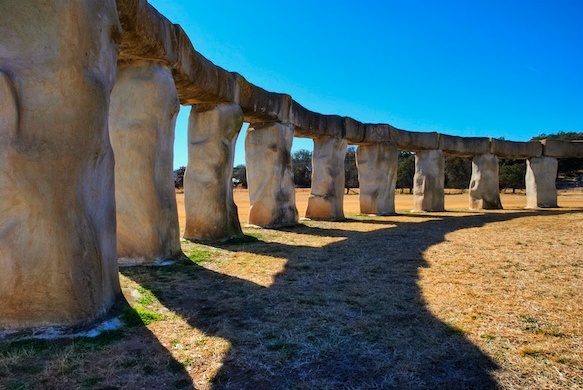 Outside of Hunt, TX (correction: this has been relocated to Ingram, TX) there is a replica of the original Stonehenge and it’s nearly as big. Just for good measure, there are a couple of replicas of the big heads from Easter Island too. No, I have no idea why…but it sure is interesting to go see. One of those quirky, fun things on the side of the road! You may recognize the name of this town from the song of the same name. Wait a second…the use of the word “town” in the previous sentence is a HUGE overstatement. This is more like a village. No, that’s too much too. What’s smaller than a village? 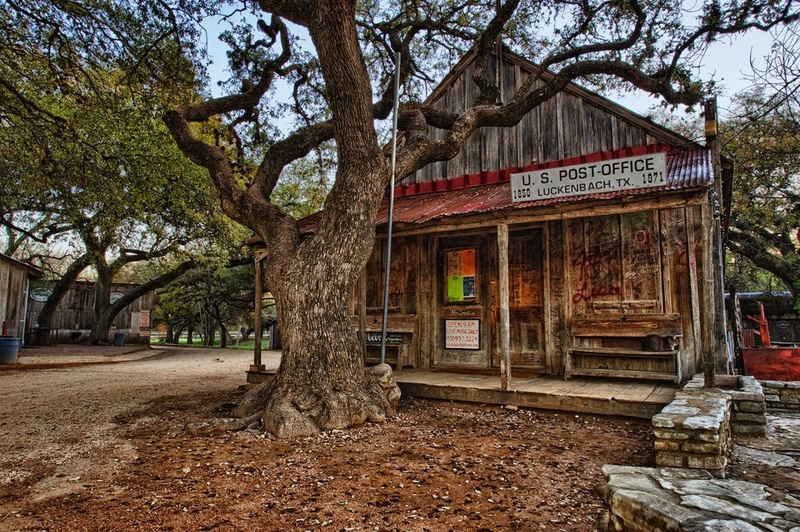 Anyways, it’s small but has a lot of character…especially that old post office/general store thing. Ain’t it cool? For the record, the name of the town is pronounced “green”. Ok, now that that is out of the way, let’s talk photos. This town is tiny. T-I-N-Y. But, it makes up for it’s lack of size by delivering a lot of charm. Mostly though, what I like to do is drive through town (don’t blink!) and head down to the Guadalupe River crossing which essentially is right behind the town. You can get an incredible view, especially when it’s Fall and the colors are just right! 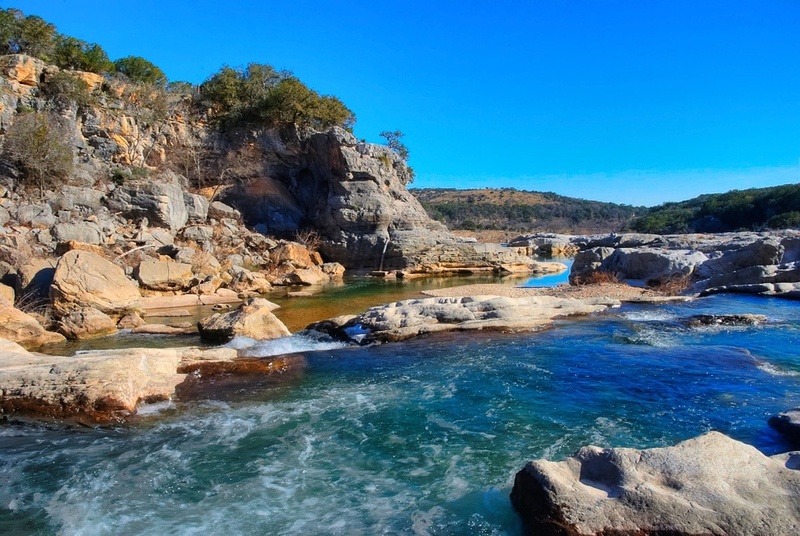 This is a cool little spot just outside of Marble Falls. It's great in the Fall when they have all the pumpkins out, and I just love the old Dodge pickup - it's fun to shoot at. There is also a great field of flowers and a corn maze - it's a fun place to spend the day and fun to photograph as well! Well, that's about it for now! I have a few other spots that I will possibly add to the list, but feel free and leave your own ideas in the comments section! Thanks for stopping by and hope this helps!